The voiceovers are recorded in a professional setting and produced for demonstration purposes, all of which were mastered and edited by Jimmy Maddox. 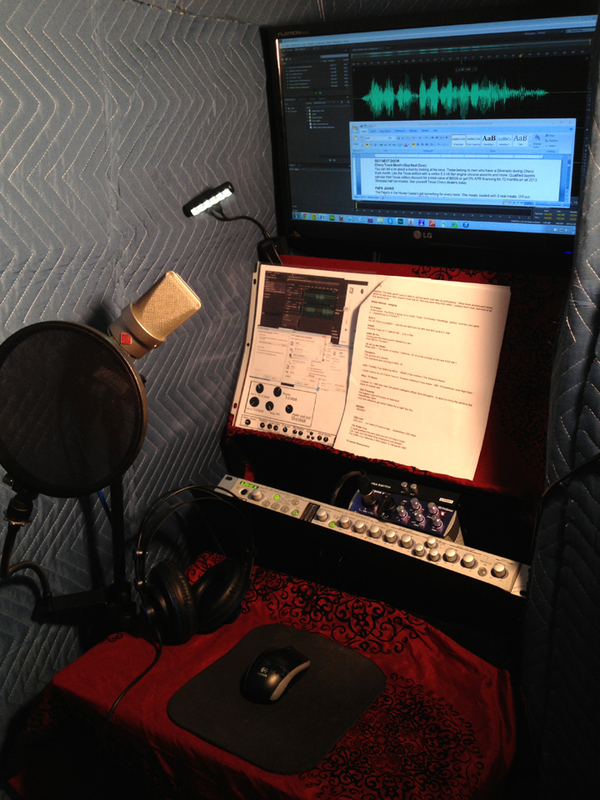 Recordings are produced from an in-home studio for accessibility and faster turnarounds. This fact also eliminates overhead costs. Recordings are produced digitally and delivered via Dropbox or .mp3 / .wave file attachments. Skype voiceover sessions do give the feel of being in the room next door, and although Skype has improved over the years with high-quality sound, it is not 100% the same as ISDN. Usually what we do is record samples and email them for approval. Re-takes are OK within reason. If there is a certain sound you need, we can link to you via Skype audio so you can listen in on the recordings. This is not an uncommon way of conducting voiceover sessions from home studios. The convenience of home studios allows us to work for clients essentially anywhere in the world. As you can see from the above thumbnails, we have demoed the following styles of reading.